With great sadness we share the news that Dr. V. Bailey Gillespie, 75, passed to his rest on Monday, May 7, at 12:47 a.m. at City of Hope medical center in Duarte, California. He had been battling liver cancer since early 2017. He is survived by his wife of nearly 54 years, Judy Walcker Gillespie; son Tim and daughter-in-law Sara; daughter Shannon Quishenberry and son-in-law Kenneth Sievers; and five grandchildren. A memorial service will be held on May 19 at 4 p.m. in the La Sierra University Church. Bailey’s career in Adventist education and ministry began shortly after he received his master of divinity degree from Andrews University in 1966. He served as a church pastor, as an academy religion and music teacher, and as assistant dean for admissions and student affairs in the Loma Linda University School of Dentistry before moving to higher education in Loma Linda’s Division of Religion in 1976. He earned his PhD in Christian Personality and Faith Development from Claremont Graduate University in 1973. 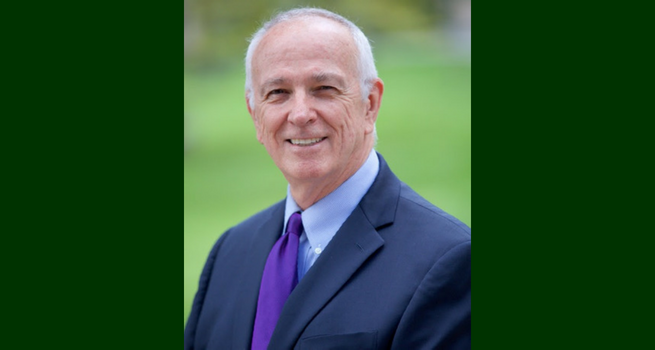 In 1981, Bailey returned to his undergraduate alma mater, La Sierra University (then known as the La Sierra Campus of Loma Linda University), as professor of theology and Christian personality and chair of the church and ministry department. He remained a vital part of La Sierra’s religion faculty until his retirement in June 2017. He served as associate dean of La Sierra’s HMS Richards Divinity School from 2015-2017 and as acting dean from 2014-2015. Bailey wrote or edited more than 30 books and hundreds of articles. In addition to teaching, research, and writing, he also led archaeological expeditions to Caesarea Maritima in Israel from 1976-1982. From 1983 through 2015, he directed and led the Middle East Study Tour, helping hundreds of people experience the lands of the Bible. This press release and photo were provided by La Sierra University.